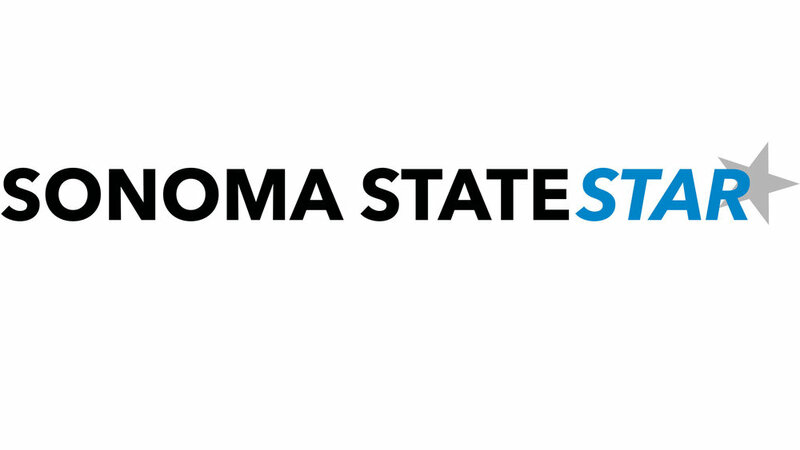 Sonoma State University has placed a renewed importance on its academics, student life and athletics. However, the art scene is one aspect that seems to go relatively unnoticed. The arts can be a tremendously beneficial facet to students regardless of whether or not they’re fans of art. “Having a thriving arts scene on our campus helps students develop a greater appreciation for the arts,” said Film Studies professor Ajay Gehlawat. The collaboration between music, film and more traditional forms of art creates an outlet to heighten campus activity, along with increasing learning opportunities. Although the construction of the Green Music Center has helped broaden the appeal with its dazzling architecture and multifunctional spaces, each department could substantially benefit from utilizing theses spaces and enhancing the exposure to what each department offers. Each department has its own unique needs and making those needs apparent to Sonoma State students can only help the betterment of our education. Sonoma State University offers classes and programs that most students probably don’t know exist. Campus MovieFest is an amateur film competition where students enter their own short films for review. This event gives students pursuing careers in film the hands-on experience they need to get their foot in the door of the entertainment industry. In addition, those who submit their films even have the chance to participate in larger events such as the CSU Media Arts Festival that involves schools all across the CSU system. Along with Campus MovieFest, the Sonoma Film Institute is the oldest repertory organization in the northern Bay Area. Films are screened from allthe world that won’t be playing at our local movie theatres. Students also have the opportunity to receive GE credit for attending the screenings and writing about the films. The school has completely updated the film studies program, offering new courses in film production. It’s also in the process of developing a M.A. program to allow students to continue to further their artistic passions. The photography program has also been revamped where in the past it was mostly a dark room program. Although there has been a lot of progress and even more to look forward to, there are still nagging issues at hand, the biggest of those problems being money. The majority of programs on campus are not properly funded and lack permanent faculty members. More funding would allow for more instructors, which, in turn creates a better learning atmosphere, in addition to the potential for a new and more developed curriculum. “We are fortunate to have people who believe in the importance of the arts,” said Gehlawat. It’s nice to believe people support our students’ development; however, sometimes kind words don’t do enough. Funding is a real issue and a reduced number of faculty is a tremendous problem. It’s amazing the school has such a wide variety of courses to take, but there aren’t enough instructors to teach them. Students will continue to struggle finding classes and wonder if their money is going towards their education, or if it’s a ploy to keep them in college longer so the school can reap the financial benefits. Does the school support academics and the well-being of specific programs, or do they support the business behind it and the additional profits? The GMC is perhaps the most talked about building regarding its financial clout. It brings in a lot of guests and performers, but it’s hard to tell if they’re brought in just for entertainment value. Sonoma State students and departments have little to no say in who performs there or what events it will host. It’s one of the nicest features of our school, yet those who attend the school rarely get to experience it because it’s not properly utilized. It would be refreshing to attend more campus events that weren’t located in Ballroom A. The GMC is a great resource, but it could be used to offer so much more. The GMC could allow the art community to have a much larger presence on campus. “We have this great music center and one day it would be nice to see this top notch art gallery and studio complex near the music center so the arts are together,” Shaw said. The art community at Sonoma State is a great resource for students; it’s just a matter of finding it. Promotion is everything. Students should at least be aware of everything the school has to offer. It would be great to see more collaboration between the different venues on campus to help house some of the great resources that are stuck in crowded classrooms. There has been a lot of discussion on campus lately regarding where student’s money is going and how it’s being used. If funds can be set aside for campus additions like LoboVision, then the school needs to utilize additional funds from all departments to help enhance programs. Assuming that the main emphasis of the university is to adhere to the needs of the students, then the school should do so by putting more attention towards classes. Also, making sure funds are properly distributed throughout campus so additional staff can be hired and students can experience a wider variety of classes.